PlutusX’s mission since its inception in 2015 has had one core drive: to reinvent the way investing is perceived. We planned on disrupting the status quo by providing tools that otherwise would have been exclusively reserved to the ultra-wealthy. We have now advanced our mission with the progression of blockchain technology and decentralized tools, that will allow us to take our mission to a global and border-less platform. The potential to satisfy the demand for aggregated financial services in the crypto industry is perhaps the most exciting banking development of the past 100 years. We provide an easy to use ecosystem that allows you to take control of your finances. With our unified platform, you are able to start banking in a trusted, open and decentralized financial system. Manage your finance in one place with our bank, wealth management, and trading exchange. We provide an easy to use ecosystem that allows you to take control of your finances. With our unified platform, you are able to start banking in a trusted, open and decentralized financial system. Manage your finance in one place with our bank, wealth management and trading exchange. PlutusX’s mission since its inception in 2015 has had one core drive: to reinvent the way investing is perceived. We planned on disrupting the status quo by providing tools that otherwise would have been exclusively reserved to the ultra-wealthy. We have now advanced our mission with the progression of blockchain technology and decentralized tools, that will allow us to take our mission to a global and border-less platform. The potential to satisfy the demand for aggregated financial services in the crypto industry is perhaps the most exciting banking development of the past 100 years. There are obvious flaws in the current financial system. It's not transparent, high trading and transaction fees, slow transactions speeds, not efficient, and it is controlled by gatekeepers. While these are not all the current problems that existent in the current financial system, they are some of the most obvious ones. Also, some of the best wealth management services are only available to select individuals. With PlutusX's digital bank, customers will finally be able to use cryptocurrencies to pay for fiat based goods without transaction limits and with a low commission on any of the world’s existing 42 million payment terminals including many internet stores and payment points. 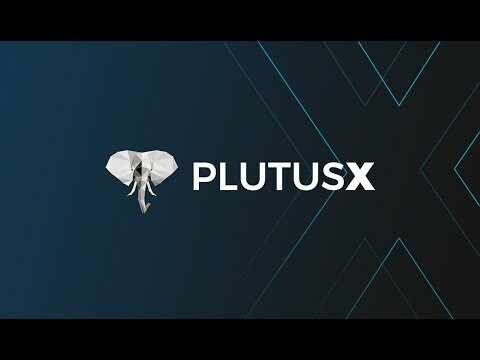 PlutusX's technology platform is being developed to be based on algorithms that allow for the most efficient exchange rates matching across natural peer-to-peer flow as well as third-party crypto-exchanges. PlutusX intends to meet the banking needs of the Cryptocurrency Era.
" We want our services to generate an extra income for people. The stats are staggering on what an extra couple hundred bucks a month can do. A survey in ‘16 (US) said that an extra $500 a month could’ve prevented 40% of home foreclosures and saved 60% of divorces. Every time unemployment goes up just 1% 10,000 women and children (men too) are subject to violence and crime. It’s why at PlutusX it’s our goal to give back the opportunity to generate investment income. Level the playing field. The opportunity is there and if you don’t take it it’s on you, but the opportunity is available where previously it’d be reserved for the ultra-wealthy or only for eligible individuals." Here is my review of this interesting project. I like that jurisdiction is based in USA. That's mean that company can be trusted from legal perspective. Secondly, I like that they also accept FIAT. Not so many companies do that. I have spoken to the CEO and he show full passion and commitment to this project. development is well planned on the white paper. But very detail diagrams on how the ecosystem works, great effort on that. Not the strongest of team i have seen, but still a good quality team. Need a few blockchain / ico experts as advisors i would say. Our Trading bot V0.5.2 is available for developers and curious individuals. This bot hooks up easily with your exchange and trades BTC/USD with an already profitable system set up. Developing and launching our MAM structured trading system for our wealth management ecosystem. The assistant can answer 98% customer support questions as well as assist you with your finances. Implementing Credit Cards, Smart Loans, NFC Chips, Chequing/Saving Accounts and Smart Insurance. We want to provide businesses with the right tools to make use of the blockchain technology. In 2020, we will offer merchants POS Machines, Payment Portals, Business Insurance and Business Loans. We will continually build out our platform with a mission of operating a full service decentralized bank with upmost transparency reaching the masses. We care about our community and want to build products that you absolutely love to use. If you have any feedback or suggestions, we will take it into strong consideration. We recently closed a deal with Decenturion which will allow us to have access to over 200k users upon completion of our exchange and loan services. To make our trade bot more easily accessible we transcoded the program into Pine Script which allows prospective users to add the strategy to their BTC charts on Trading View.